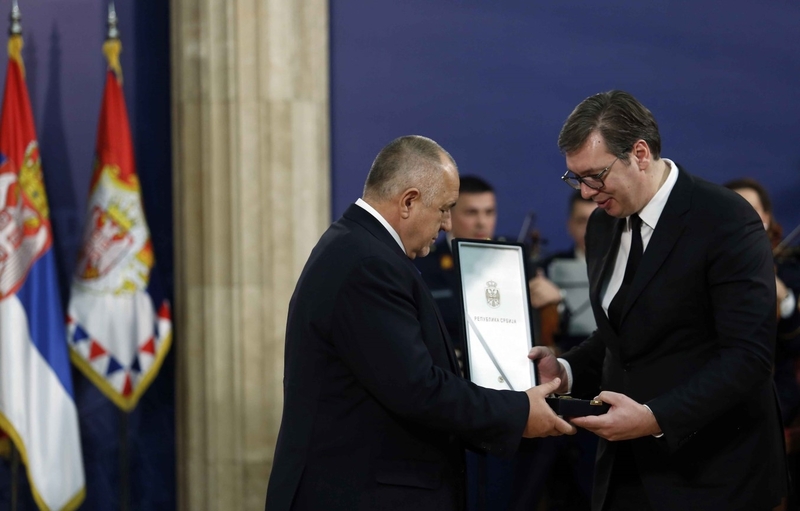 Serbia has conferred its highest state honour on Bulgarian Prime Minister Boiko Borissov, the Bulgarian government information service said. The Order of the Republic of Serbia was conferred on Borissov “for the development and consolidation of peaceful co-operation and friendly relations between the Republic of Serbia and the Republic of Bulgaria”. “Allow me to accept this award on behalf of all the Bulgarians who have made enormous efforts during the Bulgarian Presidency (of the Council of the EU) – to all who believe that Serbia is an integral part of Europe, that it will soon be a member of the European Union,” Borissov said at the ceremony at which the honour was handed to him by Serbian President Aleksander Vučić.